Something happened in Levy, South Carolina when Magnolia was seven years old. She is now in her eighties living in a nursing home, possibly with Alzheimer’s. In her own words she is “trapped somewhere deep behind my eyes, waving… calling… but no one can hear me.” Her husband George is dying, but with his trademark dry humor, he knows that they have enjoyed a good life and he still adores his beautiful wife “even though [we’re] on the first floor where dementia lives, even though we are older than dirt, she is lovely and sweet and she is my bride.” But they are both learning that the past is never lost when people who lived through it are still alive. When a life-size photograph of Magnolia and Joe, a stranger from their past, arrive at the home on the same day, we start to learn of a tangled web of lives, in the present and in the distant past. Each character, from Annie, their kind, but disappointed caretaker, to Ash, Magnolia’s long lost brother, tells his or her own story, some in the first person, some in the third person. Most of the characters have long buried secrets to hide and may not even admit the truth to themselves, so beware: everyone may not be a reliable narrator. The Inheritance of Beauty can be read on several different levels. First it is a straightforward novel, with a leisurely revelation of the 70-year-old mystery, while it describes the sadness of families split by terrible circumstances who never get back together because no one wants to be the first to make contact. The characters are well-drawn, memorable and mostly thoroughly likable. It can be enjoyed as a touching love story of Magnolia and George’s relationship that lasted from childhood into old age. It also has touches of magic realism that are harder to spot: when my book club discussed it, only one of us noticed that a journey to a pond and a wetting symbolized a character’s baptism and rebirth. 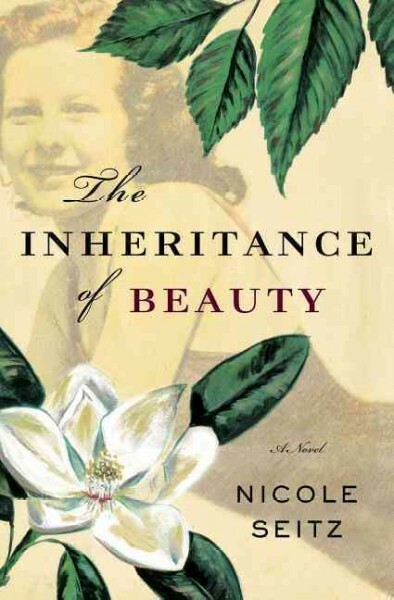 The Inheritance of Beauty will appeal to lovers of Southern fiction, particularly for caretaker Annie’s lovely speech patterns. It is a good book for readers of Still Alice by Lisa Genova, which also deals with Alzheimer’s Disease, but on more practical everyday level. Check the WRL catalog for The Inheritance of Beauty. Densely illustrated and narrated, Stuck Rubber Baby follows the life of Toland Polk, a white carpenter’s son living deep in the restless South during the 1960s. The story is introduced by the modern day Toland, who is gently amused as he recounts this stormy portion of his life. The ’60s were a time of electrifying change, both social and political, and it was an exhilarating time to be coming of age. Toland has a deep love of music, which leads him to hang out at bars with other people from town around his age, black and white, male and female. Without really consciously intending to, Toland gets drawn into the fight for Civil Rights in his town, compelled by his friendships and his rejection of the inequality woven into the fabric of daily life in the South. But Toland has a secret. His entire life he has known that he is attracted to men, but he also realizes how homosexuals get treated. He endeavors to either hide or convert his feelings if possible. He meets a girl named Ginger, who is even more forceful in her support of integration, and is able to nurture enough of a crush on her to start dating. The story draws an intricate parallel between society’s rejection of blacks and gays. Toland knows he’s lucky that he can appear to be part of the majority by putting up a false face and having a relationship with a woman, but his black friends don’t have that luxury. Those friends of his who are both black and gay face exponentially more animosity. The adult Toland is unflinchingly honest about his past experiences. He knows how his battles against his personal demons caused him to be insincere to those around him, but he also realizes that he was forced into many of those deceptions by the expectations of a society that could not, would not accept him as he was. The story brings in a wide cast of characters as people come in and out of Toland’s life and shies away from caricatures. This makes for a rich world that believably portrays a turbulent time in our recent history without stooping to lecture or browbeat. Recommended for readers of graphic novels, historical novels, and social history. Search the catalog for Stuck Rubber Baby. How do some writers create compelling, even heroic, main characters that you wouldn’t want to spend ten minutes with in real life? It’s a problem for some readers, but I admire the ability, and find that skill translates into forceful storylines. 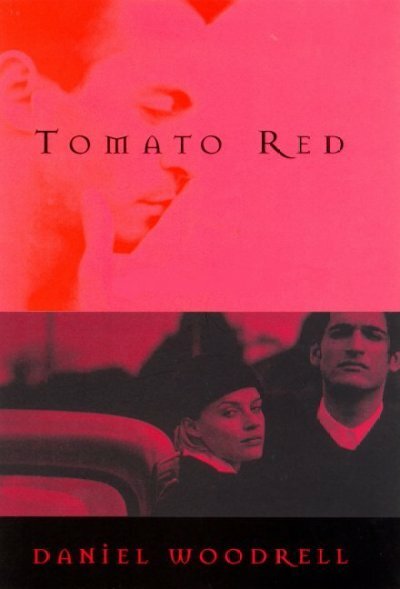 Tomato Red is the story of four such characters. Sammy Barlach tells the tale in an uncompromising voice; he does not hide anything from his audience, including his understanding that his whole life he’s been headed for prison or an early grave. We first meet Sammy when he’s under the influence of crank and breaking into a McMansion to impress a girl. But the high runs out and he wakes to find himself in the company of two seemingly-sophisticated young people who want Sammy to help them with a project. Turns out Sammy has come into the orbit of Jamalee and Jason Merridew, two of the inhabitants of the lowest life across-the-track neighborhood in West Table, Missouri. West Table’s chief employer is a dog food factory, and Sammy can’t even keep a job there; Jamalee and Jason have bigger plans to escape West Table and go somewhere where people don’t treat them like the garbage on the bottom of their shoes. That’s where Sammy comes in. But there’s trouble with their plan, the kind that can’t be overcome no way nohow. It seems their only choice is to put themselves into their own places – Jason at the local hair salon, Jamalee waiting tables at the country club, and Sammy doing whatever is left when the dog food factory doesn’t work out. Even those efforts go awry, and the trio embarks on a cycle of revenge and retribution that destroys their plans once and for all. The fourth person in the story is Bev Merridew, Jamalee and Jason’s mother. She’s the kind of woman who learned long ago that for a pretty girl from across the tracks the best solution to life’s steamroller is to lay down. So she lays down, either with a joint or with a guy who can put some money in her pocket, and lets the rest wash over her. She even smokes, drinks, and sleeps with Sammy, which throws another sour note into his relationship with Jamalee. When trouble hits too close to home, though, for once she decides to take action but finds what few assets she has are worth nothing to the important people of the town. Woodrell’s characters are the very best thing about this book. Sammy speaks in the cadence and language of a mostly unlettered culture that hasn’t yet succumbed to the uniformity of TV-speak. Like the forebears who settled in the isolated Ozarks, he has a fierce independence, a fierce loyalty to the people he adopts as his, a fierce temper when crossed. Jamalee barely contains her rage, knowing deep down that she doesn’t have the wherewithal to leave West Table. Jason is learning about his sexuality, and it doesn’t look good for him among these rural alpha males. Bev is earthy, practical, willing, which makes her a favorite among those same men. I don’t know what it is about this setting, or the people who inhabit it, but it seems that I keep coming back to it, and with Tomato Red, I know I’m in good hands. The author of the terrific Winter’s Bone (also made into a movie starring Jennifer Lawrence, who was nominated for an Oscar for her portrayal of Ree), Woodrell’s writing is a reminder that an air of fatalism and a talent for stark storytelling seems to characterize the people of the Ozarks; maybe that’s what brings me back. The best fiction is often that which is built on a foundation of truth. In the early 20th century, Walter White, a former head of the NAACP, went undercover as a white man in the Deep South in order to do investigative reporting on lynchings that were not being reported by the local newspapers. That journey served as an inspiration for writer Mat Johnson, who grew up as a light-skinned African American when you could be white or black, but not both. The story follows Zane Pitchback, a Harlem-based reporter for the New Holland Herald. The light-skinned Zane, writing under the pseudonym “Incognegro,” has gained anonymous infamy for his blistering exposés on racial violence in the South. Frustrated that he’s not getting appropriate acknowledgement of his work, Zane seeks to shelve his investigative reporting and get recognition under his own byline. But when his own brother gets wrongly arrested for killing a white woman, Zane once again travels south for a story. Desperate to save his brother, and disguised as a member of the Ku Klux Klan, Zane tries to find the real killer before his brother gets lynched. Zane is accompanied by his similarly light-skinned friend named Carl, who is experiencing the injustices of the South for the first time. Zane finds his brother alive but under constant threat from the local population. Even if Zane can discover the truth of what happened, he’s not sure he can get his brother free and safely back to New York. Meanwhile, Carl has taken on a British accent and is playing poker and drinking with the locals, but keeping from being discovered is a tricky and dangerous game. An absorbing and compelling tale, this story brings to life the blurred and impermanent lines that are used by society to separate one group of people from another. Recommended for readers of historical fiction, especially those who are interested in social justice. Check the WRL catalog for Incognegro. If you asked people what they think of when they hear the term “American mythos” many would undoubtedly call to mind Cowboys and Indians and other aspects of the Wild West, unaware of the vibrant and complex stories and traditions of Southern Folklore. Bayou is a beautifully-rendered Alice in Wonderland-style fairytale set in Mississippi during the Depression. It is a uniquely Southern world, filled with mud and Spanish moss, concurrently embracing and fighting against the legacy of slavery. The story centers on Lee, a young black girl, who is friends with Lily, the white daughter of the woman who owns the farm where Lee and her father live. Lily is snatched and swallowed by a monster from the bayou, named Cotton-Eyed Joe, and Lee’s father makes a convenient suspect for the local law officers when she is reported missing by her mother. In an effort to get her friend back, and free her father before he gets lynched, Lee follows the monster into the brackish water, and finds herself in an alternate but parallel world. The inhabitants of this world are human-like, but their physical bodies have been replaced by various characters drawn from Southern myths. She meets Bayou, a swamp dweller who, despite his giant stature, is cowed into submission by the Bossman and his lackeys through their brutal enforcement of the law. Despite his fear, Bayou sees the need and determination of Lee to find her friend Lily and decides to help her, although not without trepidation. Any story that starts with a lynching and exposes the varied responses of people to such brutality isn’t going to pull punches. But what is most chilling about its narrative is that Bayou doesn’t make the humans into caricatures. The people in the normal world are just that: normal. They are all believable products of their time and environments, and that is clearly reflected in the social interactions between the characters. Young and old, black and white, rich and poor, everyone seems to know who is in power and the potential consequences of any action that might upset the current balance. In the parallel world, characters are taken to their extreme with Jim Crows, Golliwogs, and Confederate officer hounds, but it’s the similarities rather than the differences between the two worlds that are most striking. Bayou’s injections of race, religion, poverty, and the blues contribute to an important and uniquely Southern voice in fantasy and graphic novels. The storyline and imagery can be disturbing and unsettling, but these aspects give meaning and power to the book’s message. Both written and drawn by Jeremy Love, the use of color enhances the atmosphere, bathing the images in deep gold, dusky pink, and brownish-green. Recommended to readers of fantasy, graphic novels, and southern fiction. Shell shock. Battle fatigue. Soldier’s heart. As early at the 1600’s it was known as Swiss Disease. In the 1860’s some even called it “nostalgia,” thinking that simple homesickness could account for the disorientation, straggling, malingering, alcoholism, “cowardice,” and desertion that plagued the Union and Confederate armies. In Howard Bahr’s novel of the Civil War, the debilitation follows a small group of comrades back to their Mississippi hometown, where they continue to relive their war experiences. Those experiences gradually center on the heartbreak of the Battle of Franklin, Tennessee. Cass Wakefield and Roger Lewellyn enlisted in the rebel army in those heady days when it appeared that the war would be over by the end of the summer of 1861. Serving in the Army of Tennessee, they fought at Shiloh, Stones River, Chickamauga, and the Atlanta Campaign, along with the dozens of smaller actions and skirmishes throughout those years. They saw men die in every conceivable way, from the gruesome to the mundane, losing comrades at each step of the long march that brought them to Franklin. They also picked up a boy, a toughened orphan named Lucifer, who they promptly renamed Lucius. On his own, Lucius would adopt the name Wakefield and become mascot, comrade, and fellow sufferer in the line of battle. Now, twenty years after the war, Lucius is addicted to laudanum, Roger carries the deep psychic wounds of an artist confronted with butchery, and Cass uses alcohol to numb his pain. All three, and most of the men of their town, wander the streets in the middle of the night like ghosts in search of a place to haunt. But when Alison Sansing, daughter of their regimental commander and sister of the dashing Perry, asks Cass to help her recover the bodies of her beloved father and brother, he agrees to accompany her to Franklin. What Alison, one of Cass’s oldest friends, doesn’t tell him is that she is dying of cancer and this trip is the final obligation of a life filled with her own pain and heartbreak. As their train rolls through the Southern countryside, she begins to see the landscape through which the men of her acquaintance marched and fought. And Cass begins to recall and relive both painful and humorous episodes from his soldiering life. It isn’t until they reach Franklin that they discover that both Lucian and Roger have followed them, and their emotional journey becomes a volatile one. For a historical account of the Union’s commander at Franklin and Nashville, check out Benson Bobrick’s Master of War. Robert Hicks’s Widow of the South is a fictional account which details the life of Carrie McGavock, whose house was a Confederate hospital and who almost singlehandedly dug up and reburied Confederate dead on her own land. Postmortem is Patricia Cornwell’s first medical thriller featuring Dr. Kay Scarpetta and homicide detective Pete Marino, set in Richmond, Virginia. I tried to keep my reading confined to the audiobook in my car, but I found myself taking it to bed with me every night and not falling asleep until I’d listened through at least two CDs per night. I hadn’t read a “coroner” story or watched very many TV shows (no more than a few CSI episodes) on this topic of forensic pathology since one of my old favorites, Quincy, M.E., starring Jack Klugman, in the late 70s to early 80s, so I’m delighted to rekindle my odd fascination with the gory details of autopsies and forensic investigation. I don’t feel bad about this considering that Cornwell’s tales seem to have taken up permanent residence on the bestseller lists. I’m pretty stoked that I’ll now be able to read or listen to more than 20 books in the Kay Scarpetta series, and I’ve also now discovered a number of other writers of suspense-filled medical thrillers to add to my reading list. Scarpetta is a strong, female leading character (Quince was quite the chauvinist, as I recall). In this first novel, she’s obviously up against male characters who think she does not belong in her position as Chief Medical Examiner for the Commonwealth of Virginia. She also has to gain the confidence and respect of her sidekick, detective Pete Marino, who reappears throughout the series. The pairing of a medical expert with a legal or police professional seems to be a very effective device in this style of literature, one that has proven successful in a number of series and TV shows. I really enjoyed the character development in Postmortem. Pete and Kay don’t get along well at first, but over time they recognize each other’s unique talents and slowly develop an awkward rapport tinged with sarcasm and a bit of humor that promises to develop further into the series. The ending was unpredictable and the inevitable dangerous situation the characters get themselves into could not have been resolved without their loyalty to each other and teamwork. The medically fascinating details in these books showcase some of the latest technological advancements in forensic pathology through the years. Some might find it odd to deal with Cornwell’s older books and the now-obsolete computer technologies and medical practices, but others may enjoy it, sort of like opening a time capsule. Her latest novels continue to incorporate modern techniques and equipment being used in the real world of medicine, virtual autopsies for example. This review is not for those who are already loyal fans of Patricia Cornwell. It’s to alert readers newly interested in fast-paced medical thrillers that we have her series of books in the library just waiting for your discovery! Check the WRL catalog for Postmortem, in print or in audiobook on CD.